PLDT HOME and FGHAI ink three-year partnership. 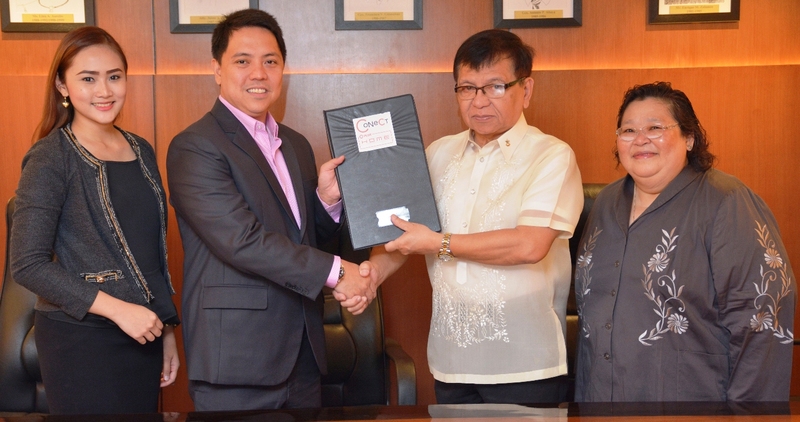 Digital services leader PLDT HOME and First Greenmeadows Homeowners Association Inc. (FGHAI) sealed their partnership with a MOA for the strongest connections at home through the country’s most powerful broadband, PLDT HOME Fibr. Through this recent partnership, FGHAI members can now enjoy lag-free browsing and streaming with speeds of up to 1Gbps as well as equal upload and download speeds. Greenmeadows I is widely considered as the country’s first high-end exclusive village. It is also the first village to implement the Integrated Digital Access Control and Surveillance Security System (iDAC-SSS). PLDT HOME Fibr’s powerful connections will amplify the capabilities of this multi-layered security technology, which includes live video-streaming from perimeter cameras and cutting-edge solutions to common village security issues. Running on fiber-optic technology which is touted as the world standard for broadband, PLDT HOME Fibr is now available in over 1,600 Fibr-powered villages nationwide including Valle Verde 1-6, Forbes Park, Dasmarinas Village and Ayala Alabang Village, among others.